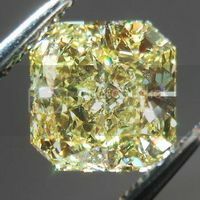 Why are step cuts so rare in natural yellow diamonds? 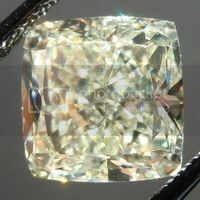 The reason has to do with the "light mechanics" of yellow diamonds. 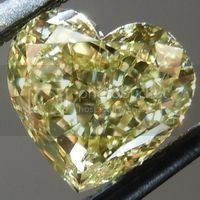 Techniques used by the cutter can have a huge impact on how yellow a yellow diamond looks. 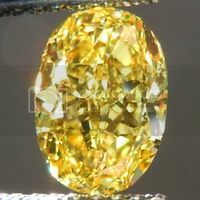 It is quite specialized, for example, the techniques necessary to maximize a brown diamond's color are totally different than those for yellow. 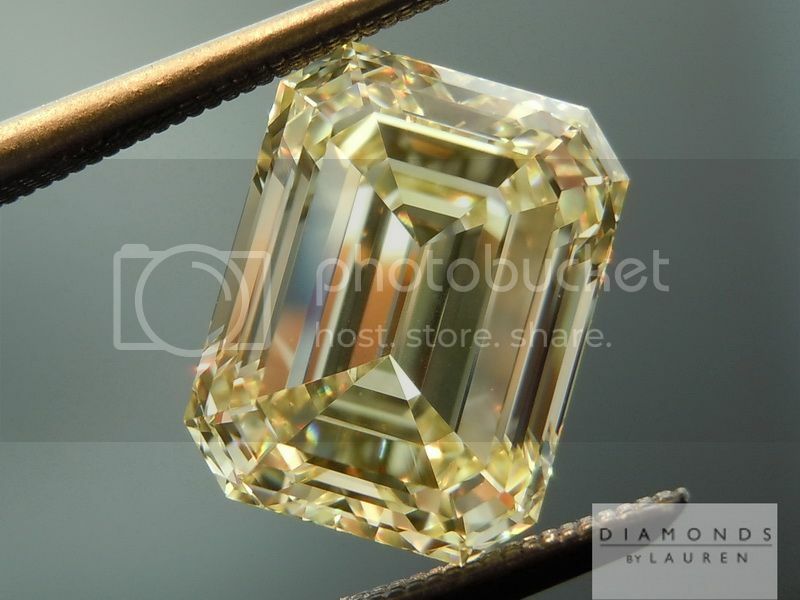 Oversimplifying it a bit: To maximize yellow colored light return, the cutter arranges the facets so that the light bounces back and forth a few times inside the diamond before it comes back out to reach your eye. The best models of cut for this are Radiant and Cushion. 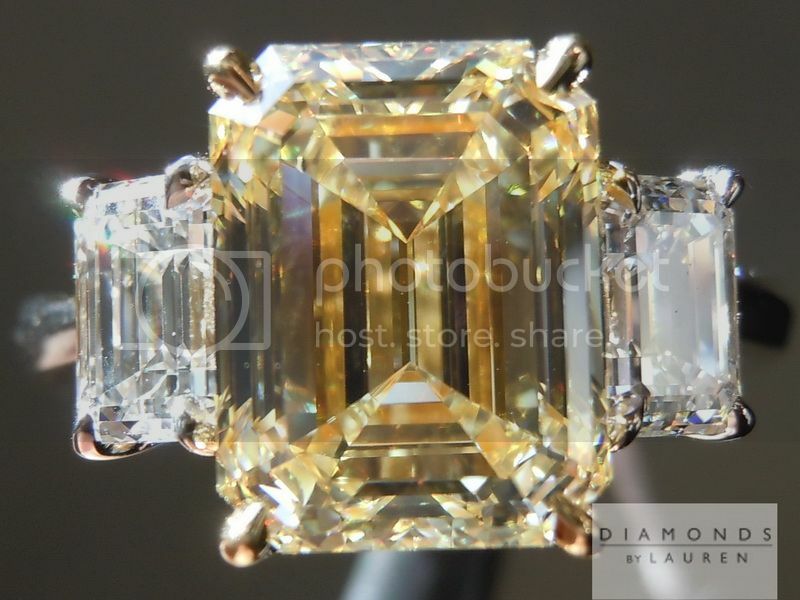 An emerald cut's design is not like this at all. The "step cut" creates a pretty much straight light path - in, and back to your eye. That's why you can see the junction line of every facet. 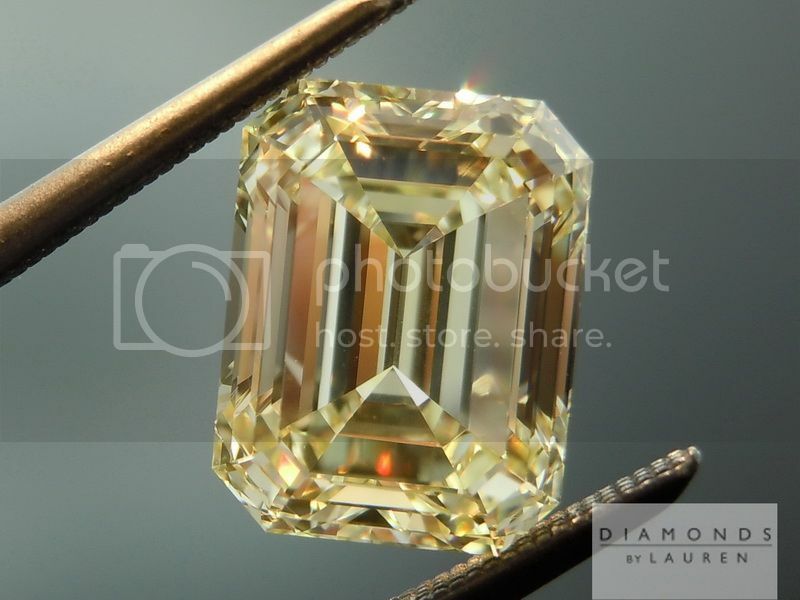 If we recut this diamond into a Radiant cut, we would probably have a Fancy Yellow - possibly Fancy Intense. I believe the main reason they did not choose to do this was the Medium Blue Fluorescence - it creates too many question marks for a re-cut. 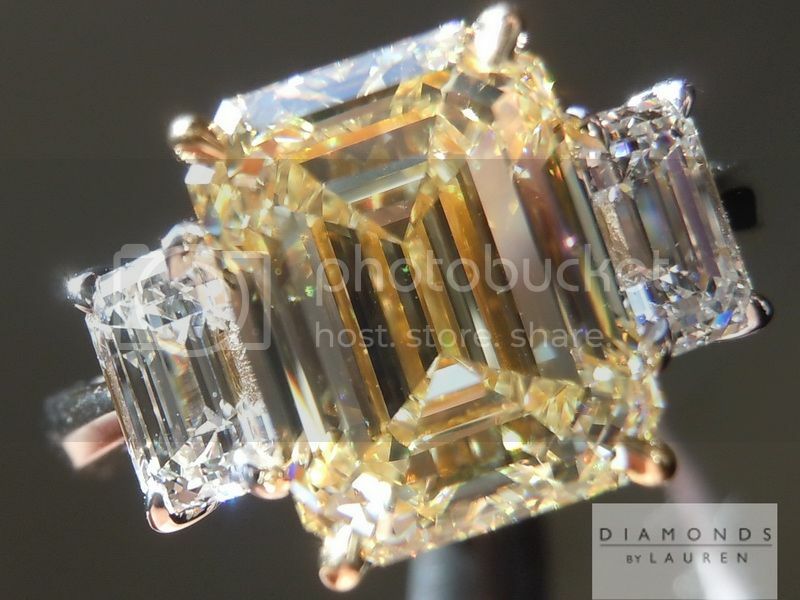 Possibly just as important was the result - the stone looks amazing - very rare to get this kind of color in an Emerald Cut. 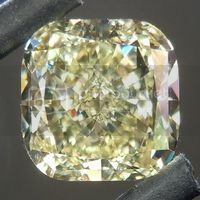 But in general, larger yellow diamonds are rarely seen in step cuts - the cutters go for a slightly smaller stone which will get a darker GIA color grade. 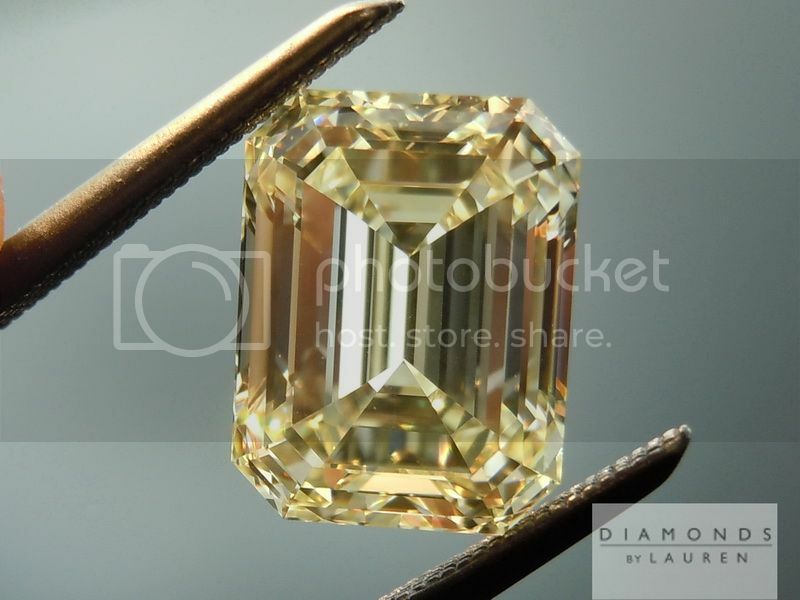 In a 3 carat size, Fancy Yellow is worth about 35-40% more than Fancy Light yellow. Cutters can expect 10-15% weight loss in a recut, meaning they make more by cutting smaller, darker stones. In this case, the medium blue fluorescence is actually a plus. 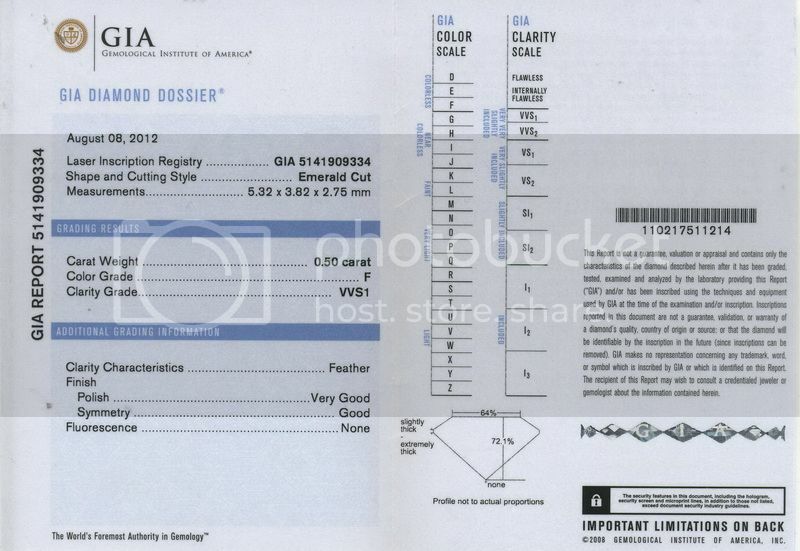 The reason, is that GIA tends to be tougher on diamonds that have medium blue fluorescence. 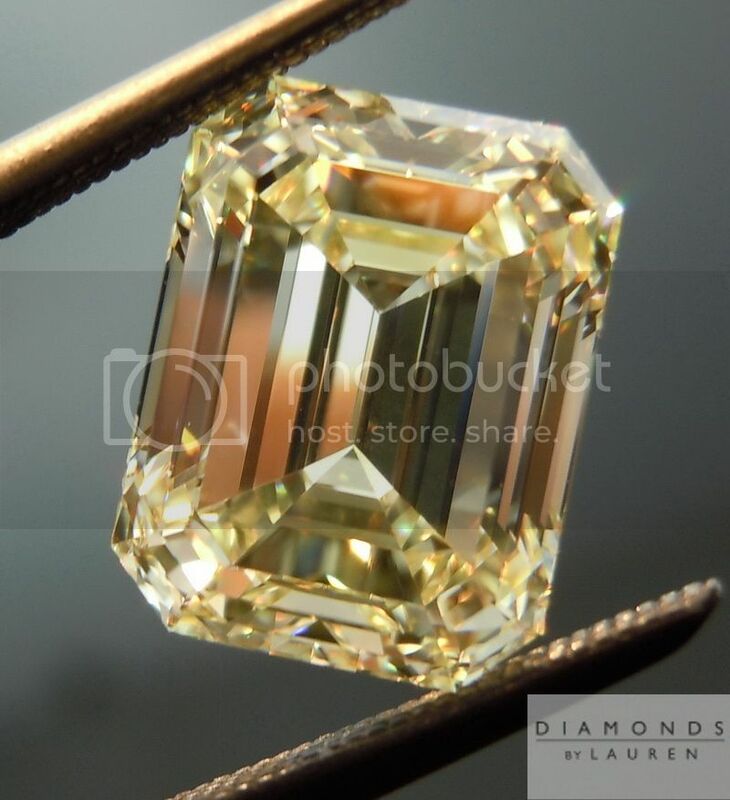 In essence, this diamond looks as dark as many fancy yellow diamonds without fluorescence when you're looking at it in normal light face up. 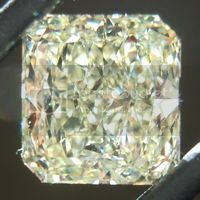 In this particular case, the medium blue fluorescence does not even really impact the amazing color of this diamond in the sun, which has a fairly high degree of UV content. 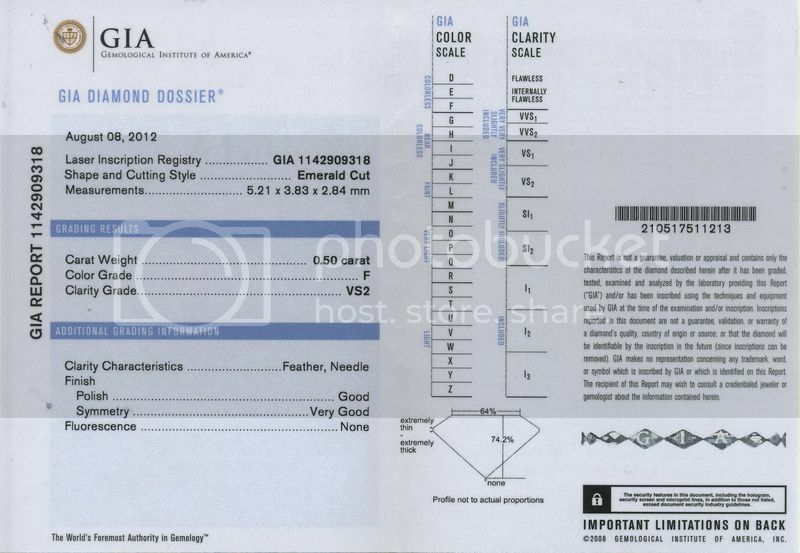 VS1 Clarity, so there's no issues there whatsoever. 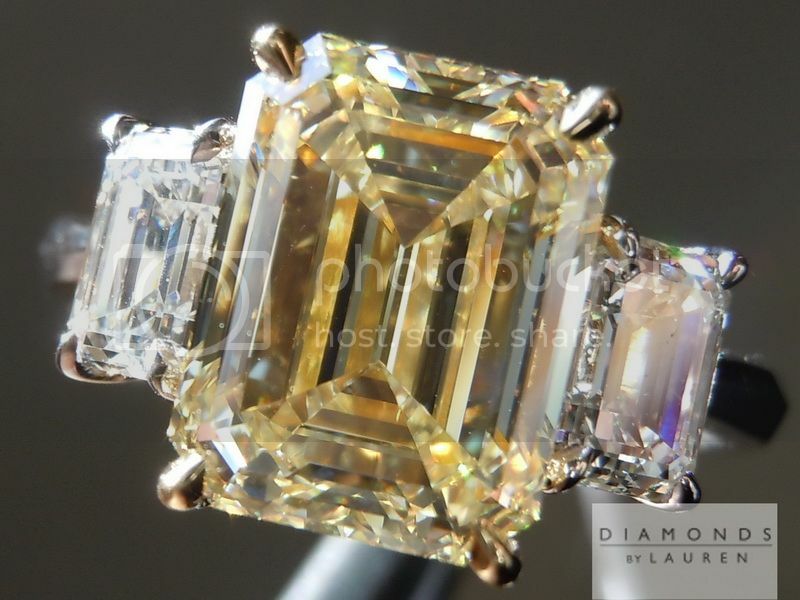 Excellent polish, excellent symmetry, quite rare for an emerald cut. Although that's not why it's so beautifully cut. 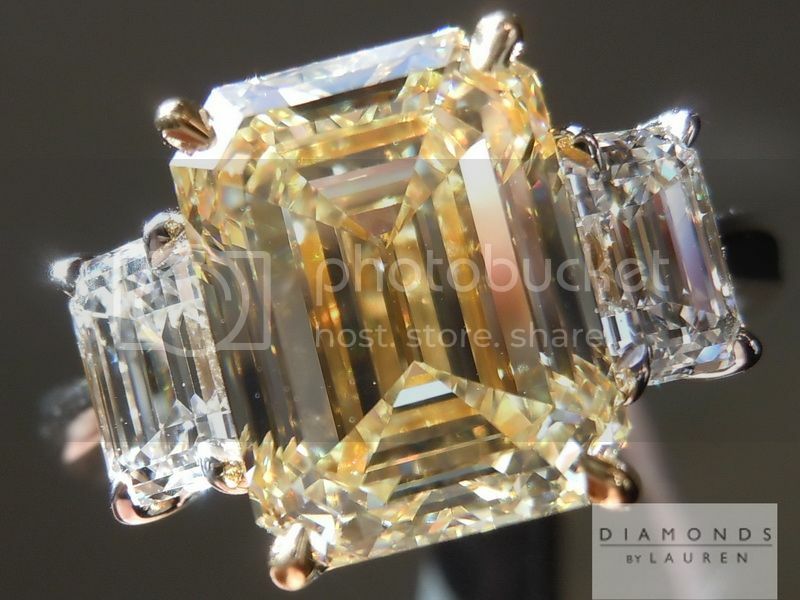 It is just an amazing cut for an emerald cut whether it was white or fancy colored. The steps are beautifully distinct. The corners are lovely. It looks large for its weight. 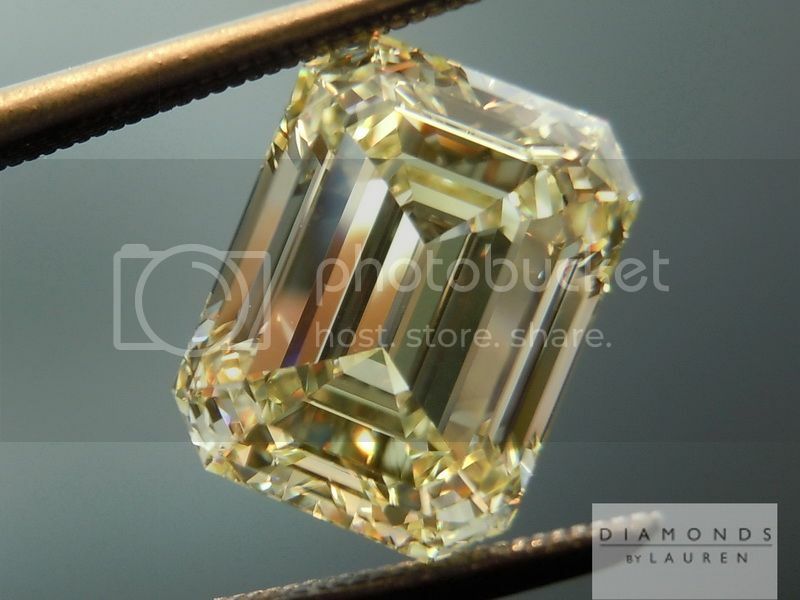 We picked two beautiful emerald cuts to flank this stunning stone. 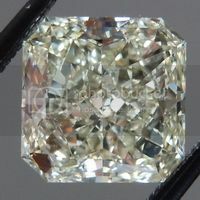 They compliment the center diamond in cut, yet provide a lovely contrast in color. This is a classic look that will be enjoyed for a lifetime. If you like the ring in these photos, you will love it in person - we guarantee it! 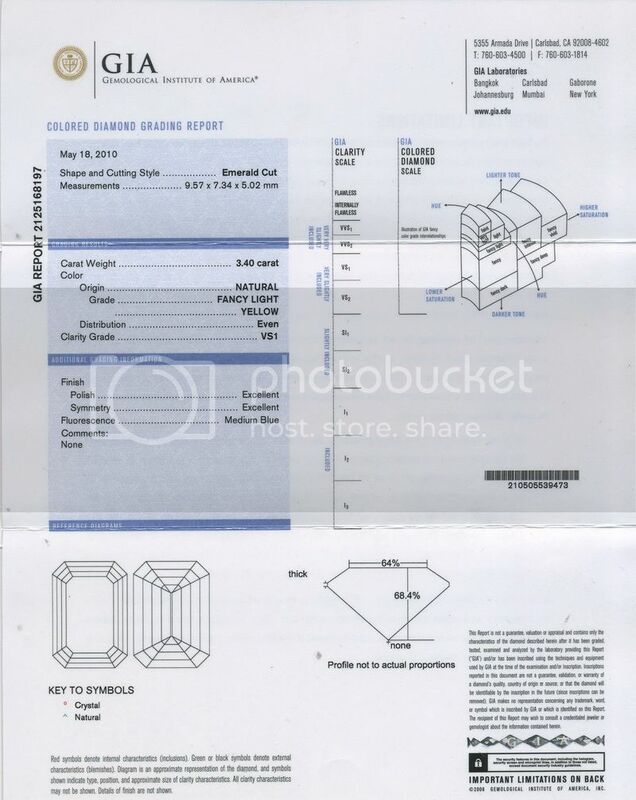 The photos above are ACTUAL Photos of the diamond ring that you will receive.